When my mother and father arrived in the U.S. they rented a small house in Miami, FL Coconut Grove area along with my cousins Marly and Eddy. Eddy and I revisited the house a couple of years ago, almost fifty years later. The house seemed even smaller to us, but it was painted and well taken care of. The neighborhood appeared much better kept than we remembered. The trees were taller, the streets and sidewalks pristine, it had become a quiet and charming place that I loved revisiting with him. 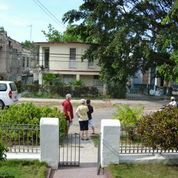 Many of us have never revisited the homes we left behind in Cuba. At first because we couldn’t, then because many of us wouldn’t, remembering the years of terror that we experienced during the Revolution. Now our children are adults and many want to see what became of the land they only know from old pictures and from our stories, and as we face the evening of our lives we agree to take them back to where it all began. Waiting for Fidel to die before “going home” is not an option any longer. Time is of the essence. My friend Piti took her husband and her son to Cuba this month. I confess I wanted to go with her to stand on the street where we grew up together, the street that watched us play and that one day witnessed our poignant good bye. But it was not to be. As much as I yearn to breathe the the Cuban air again, I am still ambivalent about the journey. The decision was made easier because members of Piti’s extended family were traveling with her and there was no room for me. It is not easy to find a van big enough for eight people in Fidel’s Cuba! Piti brought Cuba back with her in pictures. As soon as she settled in she sent me over a thousand pictures taken by her son during their visit. Unlike the experience I shared in Coconut Grove with my cousin, there was little of the familiar in the Cuba I got to visit glued to my computer screen in our Beaverton, Oregon condominium. The men in the olive green uniforms look the same, but the land they took over, the land they purportedly came to save, is much the worse for wear. This is my grandparent’s house. The picture was taken shortly after I left, and sent to me in boarding school so I could feel close to home. Here is what Piti found…. My house is a government building. 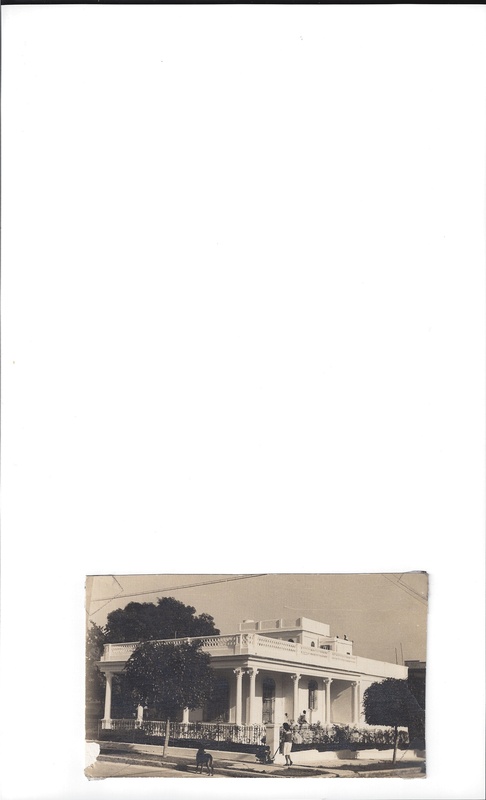 The cream colored house was built on our once beautiful yard and the structures behind the house are now invisible. One of those was the Kindergarten my grandfather built for my aunt Isel where many neighborhood children left happy memories. This is Piti standing on the porch of the beautiful white house, now shabbily painted blue. And a front view. Piti and her cousin were denied entry into the building. Piti’s own house next door and to the left cannot be seen in these pictures, but it is in much worse condition. A man lives there now, one of the poor Fidel came to save, the house falling apart around him. Fidel’s house? Now called Ground Zero you can see it in the background. He also has a helicopter pad and another mansion on the same property near our old Country Club, the Habana Biltmore. Someone sent me the picture which they had not taken themselves, so don’t know who to credit. But you get the idea…..
We really have no idea, Adrianne, what the heartbreak of losing ones homeland means. Thank you for sharing it with us. History shouldn’t be left to the interpretation of scholars. It needs to be written first person, up close, and heartfelt like these words by you. The first person in my family that visited Cuba was my aunt Sarah. Upon her return she told me that the state of disrepair of the buildings in Havana made her feel very sad.. That was in the 70’s! About a month ago I talked to a friend who had just returned from a visit to Cuba. He told me that upon his return he was so depressed that he ended up in the hospital. “Heartbreak”, the title of this piece that you have written so very well captures the experience so many Cubans have when visiting the island. I know, my friend. Today’s tourists have no idea of the beauty of that island in 1958. 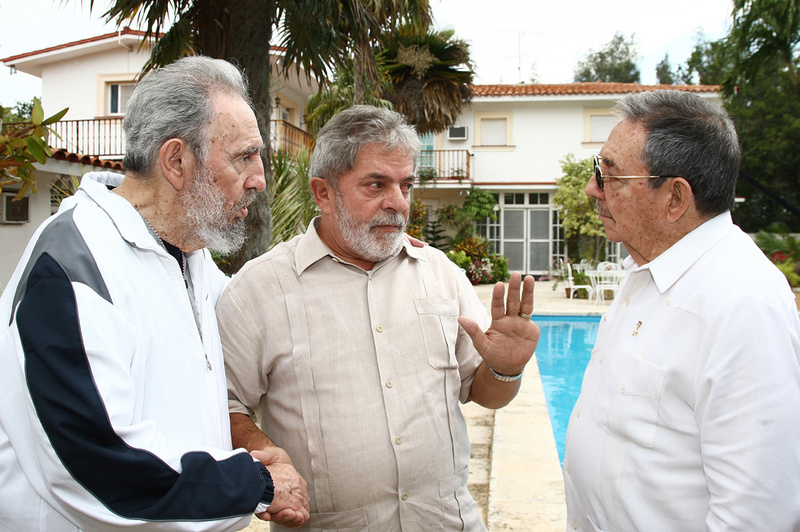 They also have no idea that Fidel promised to return liberate the country from another dictator, not to become one. Just looking at the pictures was tough enough…good to hear from you! Thank you for this beautiful post. i left Cuba when i was seven and we have never returned. My grandparents died here and my children have never set foot in the country that birthed the generations that preceded them. What we left BEHIND is gone forever and in honor of the sacrifices my family made for us to be free, we will never return as long as Cuba is captive. Lourdes, thank you for commenting on my blog. I understand and respect your position and I pray that one day we will all be there with our families, without repression and fear ruling our country. Blessings to you. As usual I enjoyed your writing and it brought back memories,when I was asked by a nephew, who lives in Spain, to travel with him, as he wanted his wife and son to see and walk where he grew up. Very reluctant I traveled with them and my wife and visited most neighborhoods of Havana. It is unbelievable the conditions there. Barely any food, places where most shelves are empty of products and the buildings are mostly ruins. We were able to visit “our houses” and the disrepair is depressing. We all returned with heavy hearts in seeing what has become of a mostly happy and well developed country, all because of the madness of a deranged man. Thank you for your comment, Juan. I hear the same stories from the few people I know who have gone back but it only became “real” when I saw these pictures. I can only be grateful that although our childhoods define our history, our history does not have to define our life story. Thanks to the foresight and love of our families we did not have to stay and witness the decay of our country first hand. Piti’s pictures include pictures o meals served at restaurants. If that is what the tourists eat I shudder to think what the general population is able to serve at their table. And yes, all because of the madness of a deranged man, and I think also because of the temperament of a people so blinded by the allure of the men coming from the mountains with rosaries around their necks…perhaps our innocence and “embullo” prevented us from seeing the sham of the “revolution” from the beginning. But I remember the envy and the hatred of the have nots or have less towards the haves some or a lot. That didn’t help either. I really appreciate you reading my blogs. Beautiful story of our torn childhood memories…homes we lost, grandparents we never saw again, or parents….the destruction of the cuban families and our heritage. Sad memories of “paradise lost”. I believe we’re going to be left to “rut’…the history and buildings will continue to collapse and the population will be poor. More hotels and resorts will continue to be built by all countries, by using our beautiful beaches…and our generation will continue to die (ours is going faster than the previous generation)..and once we are “gone”, then the “powers that control the world”…will have a “smooth transition” in the acceptance of a rotten government…since our children’s generation are born in the USA and they don’t have the same intensity of painful memories of what we left behind in the pre-Castro Cuba…. That is certainly a possible scenario, quite possible in fact, Emy. The possibility of Cuba belonging to Cubans again is slight. 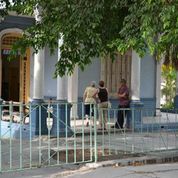 Many tourists are not aware that Cubans are not even allowed inside the hotels in their own countries. When their Cuban American families visit they have to get together outside the hotels. I remember one of our lay teachers pointing out to our class Cuba’s strategic position in the Americas and telling us how lucky we were to live there. She also told us that many coveted “the pearl of the Antilles” and that keeping our freedom would be challenging. We never saw the enemy coming from within! Many people think the Revolution happened because the rich abused their power. But the fact is that it happened because a man who was a gangster in his youth saw the perfect opportunity to exploit the population’s thirst for justice and equality. He sold out his country to the Russians, and the rest is history. Well, the rest is not really history. It is his story that he has sold well to the world, also thirsty for freedom and equality. And our children? They have their lives and find us rather dramatic and intense characters…who but those who lived it could possibly understand our incomprehensible history that has even affected the life expectancy of the Pedro Pan children? We were so blessed to have lived in the beautiful island that will never be again, and I am still blessed by our friendship that began in that magical place and continues decades later. You and I can forgive, and we have been able to find peace and move on. Others haven’t been so fortunate. I feel blessed by our friendship, and memories we both share, and yes, you and I have found inner peace and count our blessings. Thank you, Rachel, my treasured friend. Oh, my dear sister-friend, the pain of this reality is one reason why so many of us have put our memories of Cuba in a locked trunk stored in the attic of our minds. I confess that I have avoided looking at photos of Cuba as it has deteriorated through the years. I have been adamant about remembering our homeland as it was when I had to leave her and not spoiling my memories by seeing how that beautiful island has been abused and neglected. Still, I could not avoid seeing pictures, especially when my remaining relatives there send them, and it invariably breaks my heart in many ways. Interesting how the young people there have little notion of the difference between their Cuba and the one we knew. Their experience has not been living through a normal change of a place with time, but of an unnecessary, rapid decline with no end in sight. Somehow many of those who stayed managed to keep going and some even have a relatively decent life now, but they still have no idea of how different it would have been if the so-called revolution had not been betrayed so heinously, if their persistent rulers had not misused their power to enrich themselves at ruin of the island. The natural beauty of Cuba is still there, as well as the indomitably friendly and cheerful character of its people, and I can understand why people still fall in love with Cuba. Ahhh! The locked trunk in the attic of our minds…. When I found out Piti was going to Cuba I was ready to jump on the airplane with her. It was more about standing on the soil where we had played together so many years ago. Cuba and Piti, well, they are together in my heart. I notice that as the weeks have gone by since I received the pictures, perhaps unavoidably when I think of Cuba now the picture of that blue and white almost- ruin that used to be a home comes to my mind first before I can replace it with the pristine white house where I grew up. Interestingly, I thought a trip back someday when Cuba was free would bring me closure, and have been surprised by how much closure these pictures have brought me. Not at all sure I will ever go back. But never say never.